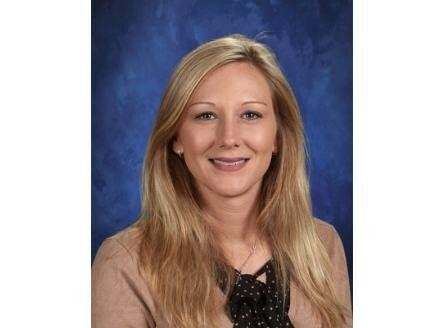 My name is LaShae Johnson, and I’m extremely excited to introduce myself as the Carthage Elementary School Principal. Carthage Elementary has been my home my entire teaching career. I’m very passionate about education, and I look forward to partnering with you to provide our students with a rigorous, engaging, and high-quality elementary school experience. As the parent of two children, I recognize the importance of a strong home-school connection. Parents are every child’s first teacher, and I believe that by working together, we can make sure your child’s social, emotional, and academic needs are met. My greatest initiative is to provide the leadership that will facilitate a school environment to provide differentiated instruction to meet the needs of each student to the best of our ability. The educational program must be academically challenging, engage each student by linking the curriculum to previous knowledge and experience, and also be exciting to promote further exploration of new ideas. Parents, teachers, support staff, and administration all have an important role to encourage our children to become active learners. It is my sincere desire to provide expanded opportunities for our students to acquire the skills to become productive citizens in a vastly changing society. Through a close and collegial partnership with everyone associated with CES, I am confident we can make our school an even better place for our students to learn and grow. Please do not hesitate to reach out to me if you have any questions, concerns, or ideas you would like to share. CES students have started off collecting lots of box tops to help raise money for technology!! Each page of 10 box tops earns the school $1.00 and earns the student a prize from our prize box. The students that send in the most box tops this year will be treated to an awesome party! Please help our school reach our goal of becoming the first school in Smith County to be a one to one student to electronic device school! CES 2018-2019 Handbook can be found under the "Students" tab. Please take a moment to read over our 2018-2019 Student Handbook.